a country renowned for its craftsmanship, epicurean traditions and spirit-making heritage. The French have a deeply ingrained culture of terroir - identifying the ideal combination of quality food and drink ingredients with people, process and place. Therefore, they have an innate understanding of how to get the best out of the best. The creation of GREY GOOSE Vodka begins with the finest soft winter wheat grown by three local farming cooperatives in the Picardy region of France. Only the highest grade of wheat, 'BLÉ PANIFIABLE SUPÉRIEUR'- Is selected – the same grade used in the finest French breads and pastries. The wheat is sent to a dedicated mill and distillery, where it is transformed into a high-proof spirit. This wheat spirit is then perfectly blended with spring water from an exclusive well in GENSAC-LA-PALLUE, in the Cognac Arrondissement (region), where the water is naturally filtered through limestone. 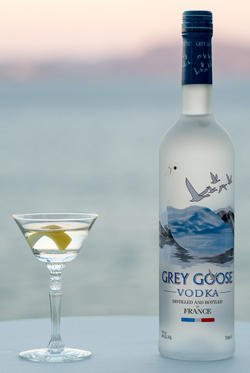 Grey Goose Vodka is distilled just once. Rather than the standard approach of filtering out faults and impurities, Grey Goose never lets them in to begin with. 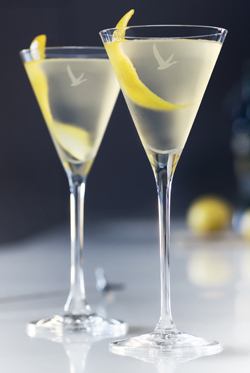 Francois Thibault, the creator of Grey Goose, was inspired by his training as a cognac cellar master and created a vodka designed to express the true taste and character of the ingredients. Francois still oversees every step of the unique journey from field to bottle.